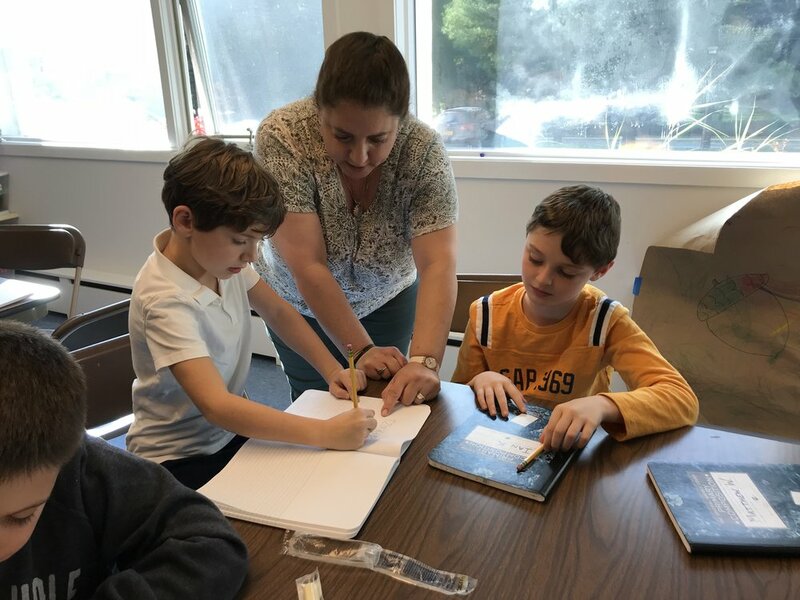 In this stimulating year, our students focus their Hebrew studies on reading prayers and singing the Shabbat blessings, the Shema, the V’Ahavta, and Mi Chamocha, as well as Hatikvah, Israel’s national anthem. Our study of Jewish values allows the children to learn important lessons that have been passed down from our rabbis through the ages. This is accomplished through literature, class discussions, improvisation and drama. We celebrate all the Jewish holidays with an emphasis on the special customs and traditions that accompany each festival, both in the synagogue and at home. We also collect Tzedakah every week in Grade 4, and the class selects an organization to which these funds will be contributed at the end of the school year. It is a privilege and meaningful experience for this grade to be responsible for the design and performance of the Temple’s Purimshpiel during our annual Purim Carnival.